Karlville’s Pack Ready Validation Center enables Media Manufacturers, Suppliers and HP Indigo Digital Press Owners to evaluate compatibility with HP Indigo Digital Offset Technology. Nobelus™ manufactures an incredible line-up of more laminate film stock sizes and varieties than any other industry supplier. Also be assured that every roll of Nobelus™ laminate film is covered with our unconditional Total Satisfaction Gold Seal Guarantee™. Charter NEX Films is North America’s leading independent producer of high-performance specialty films used in flexible packaging and other critical performance applications. Protect-all is a world-class manufacturer of premium quality films for both flexible packaging and thermal laminating applications. Our packaging films cover a wide variety of products including lidding films, cheese sealant, light and heavy-gauge prelams, barrier webs, numerous Cosmetic web films, forming and non-forming structures, as well as industrial and specialty films. 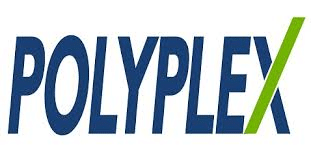 Toray Plastics (America), Inc., founded in 1985, is the only United States manufacturer of polypropylene, polyester, metallized, and bio-based films for industrial, packaging, graphic, optical, and electronic applications. Polyplex are manufacturers of Biaxially Oriented Polyester Film for packaging, electrical and other industrial applications. It has manufacturing facilities in India, Thailand and Turkey. Our films and machines are rigorously and continuously tested to make sure we are delivering only the best of quality products to our customers, which is why GMP products are leaders in the world market. KDX offers 3 distinct substrate for standard thermal laminating films; PET (polyester), BOPP (polypropylene) and Nylon in a variety of finishes, textures and sizes. We are also positioned to offer many specialty films for special applications. If you are looking for a thermal film for a special project or manufacturing requirement just let us know and we will do what we can to produce a product for you or guide in the proper direction. Taghleef Industries Inc. manufactures specialized oriented polypropylene (OPP) films that are used primarily in flexible packaging for food, product labeling, and non-food applications in the Americas.